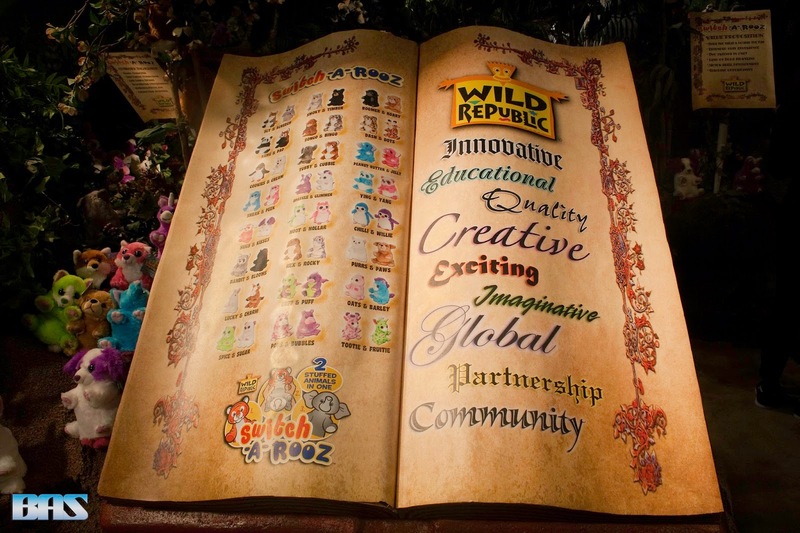 On day 2 of Toy Fair my first of many stops was at the Wild Republic booth. 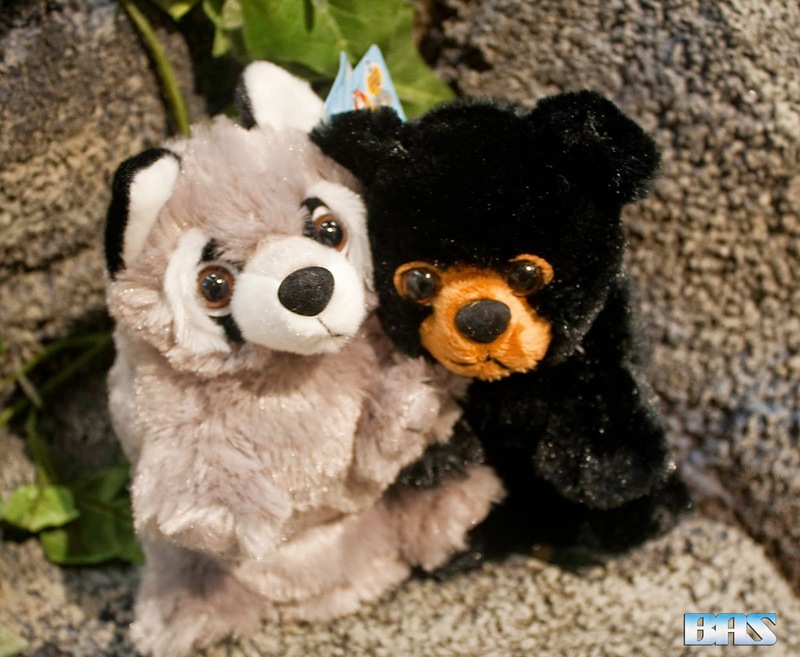 They showcased a new toy that would be for kids and anyone looking to put on a puppet show. Imagine giving your child a plush wolf toy, and for a while your kid loves. But later on they decide they like Bears better, now with Switch-A-Rooz they don't have to decide. 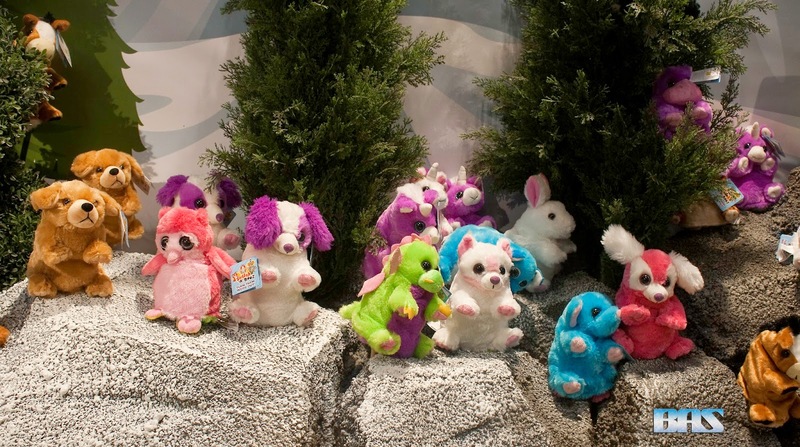 Named for their ability to change from one animal into another simply by turning the toy inside out, Switch-A-Rooz are literally 2 toys in 1. They have a wide range of animals stemming from the deep woods, jungles, and even the age of dinosaurs. The toys are made to be easy to use by toddlers to help develop their motor skills. And as I said before you can put on some pretty creative puppet shows with them as well. 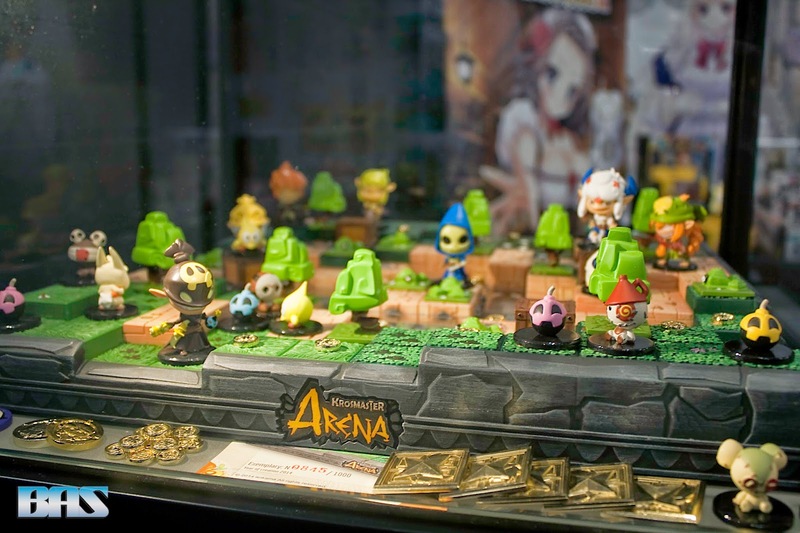 Next stop of the day was Japanime Games dedicated to bringing the finest games from Japan and beyond! 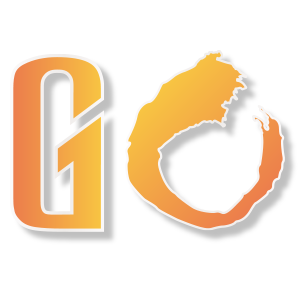 Their goal is to import and translate the best of the best games worldwide to a wider audience. 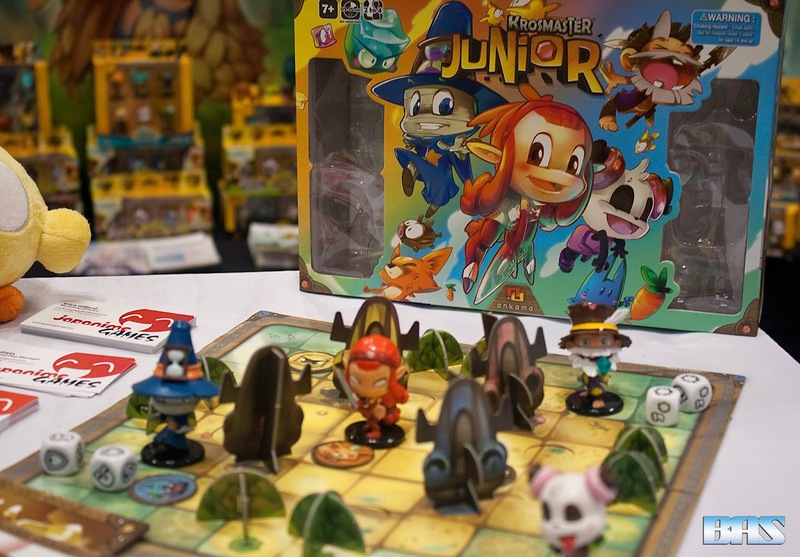 Their games feature some of the finest art that can be found along with engaging game-play and quality components. 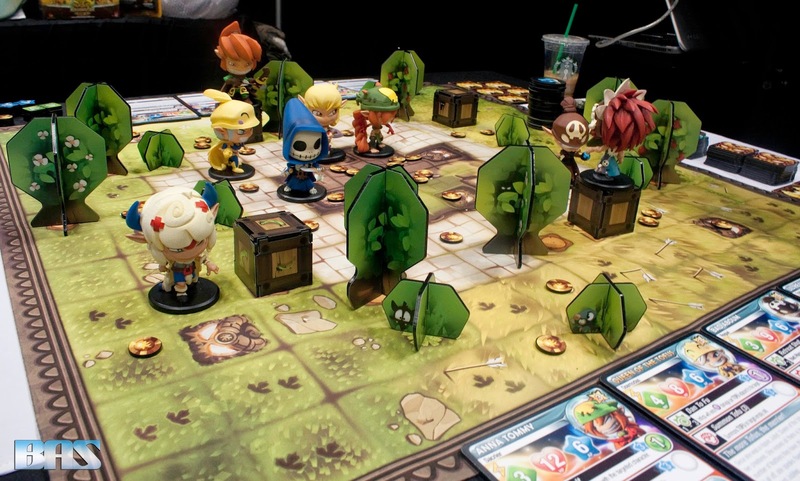 On display was KrosMaster; a player-vs-player, tactical card game with anime-style miniatures that offers the craftiest tacticians among you the chance to challenge other players to heated battles in arenas scattered around the world of Hormonde. Krosmaster is from the French gaming company Ankana, Ankama is an independent digital creation group focused on the entertainment industry. Ankama’s development is based on a transmedia strategy; it creates detailed narrative universes (for example, the Krosmoz) which are further enriched by their portrayal over various media. They are responsible for Dofus and Wakfu MMORPGs, publishing Dofus manga, Wakfu animated series, and Dofus magazine. By creating links between these stories, Ankama offers the public the chance to alternate between media, to become ever more immersed in an imaginary world, and to live and share a rich interactive experience. All players build their team using a predetermined method, whether a point system, draft, or at random. Equip your team with spells, weapons and other items adapted to their requirements, then utilize their various talents and abilities to create a powerful fighting force. Every figure has a point value attached to it to help balance things out. Randomly drawn event cards spice up the game at each turn, and the winning conditions differ for each game based on the scenario you choose to play. A version for kids to enjoy! Founded in France in 2004, Iello games is the publisher of the award winning tabletop game King of Tokyo. 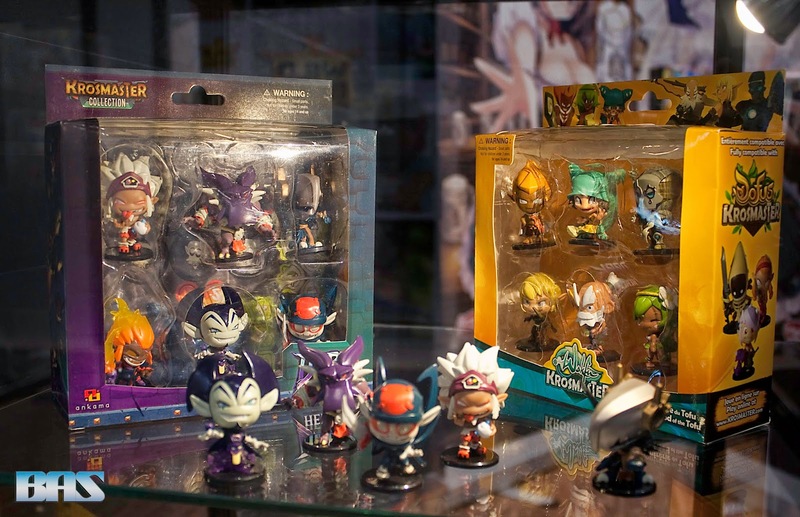 They are a major player in the distribution of games and toys hobby in France. Their latest game is the sequel to King of Tokyo, King of New York! 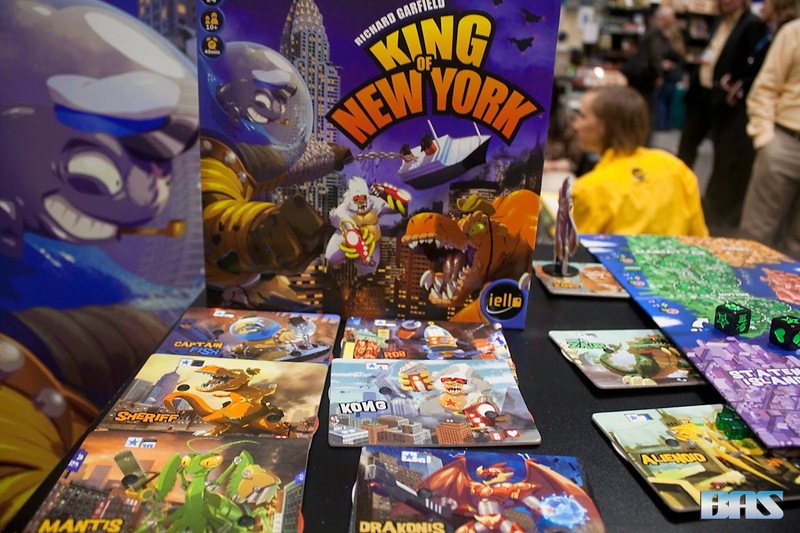 King of New York contains the basic principles of King of Tokyo while adding many new features. Trampling all parts of the city and destroy buildings will earn you points. Now not only do you have to worry about other monsters attacking you, you now have the might of the U.S. military to worry about. 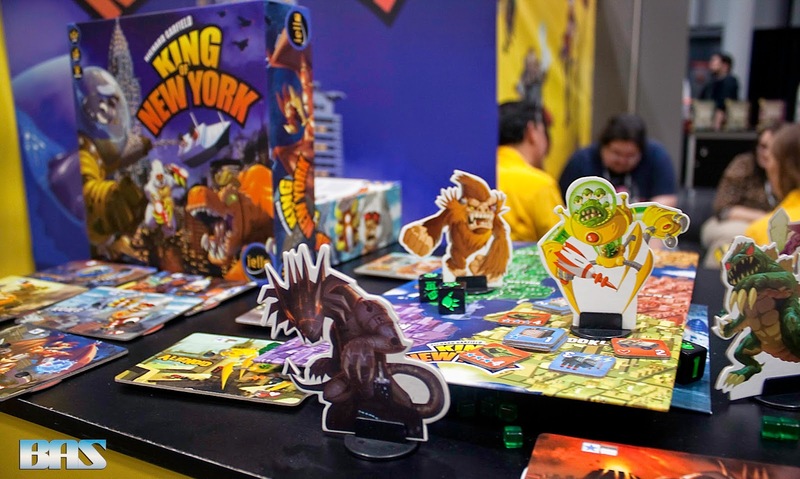 Play as a giant monster and reign over New York! Compete against other huge creatures and destroy everything in your way. 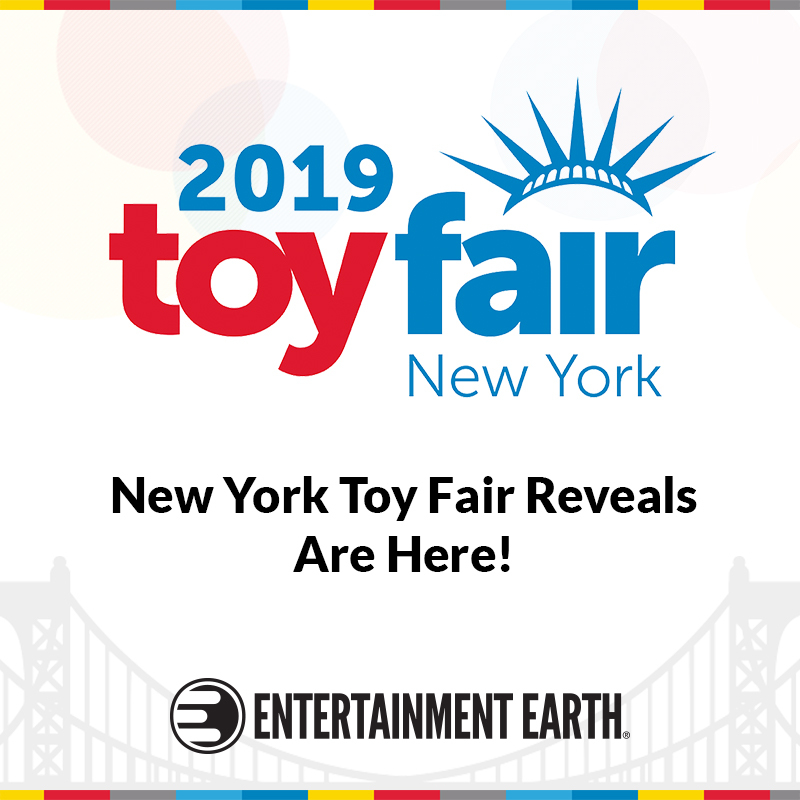 To win, attack your enemies, crush buildings, develop new skills, or become a defender of the city alongside Lady Liberty.The first to reach 20 points win or stay alive will be declared King of New York. 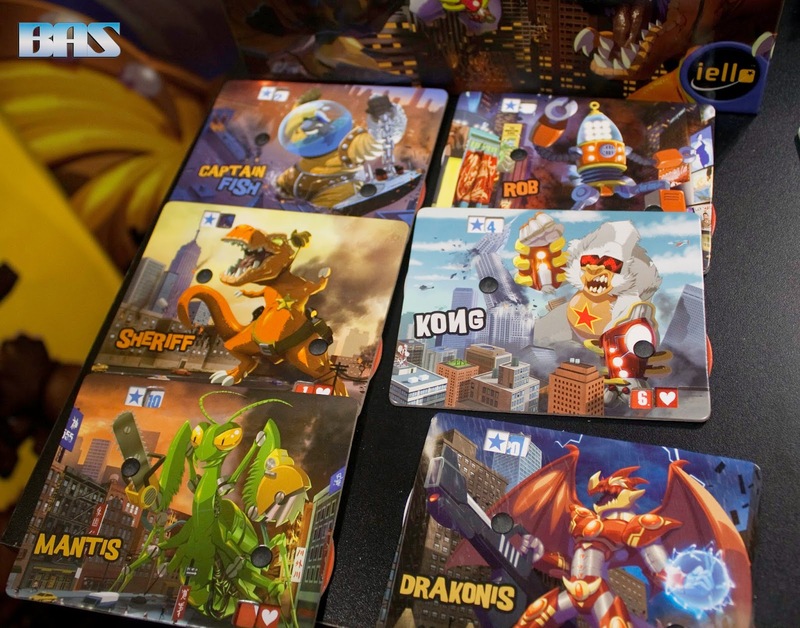 The other cool aspect of this game is that it is compatible with King of Tokyo. So can you use monsters from either game in either game. A sales rep informed me that there will be new expansions that will help with that transition. The number one early language-learning series created specifically for children from the ages of 6 months to 6 yrs old. Developed over several years with leading language experts.Founded in 2008 by Julia Pimsleur Levine(daughter of Dr. Paul Pimsleur, who created the Pimsleur Method), wanted to give her young son the same opportunity to learn a foreign language that she had. When she discovered that there were no high quality education materials for teaching toddlers a foreign language, she set out to create them herself. She was uniquely qualified given her background as an award-winning filmmaker, language teacher and mother.The Little Pim learning system includes DVDs, Music, Books, Flashcards, and an App to track progress. 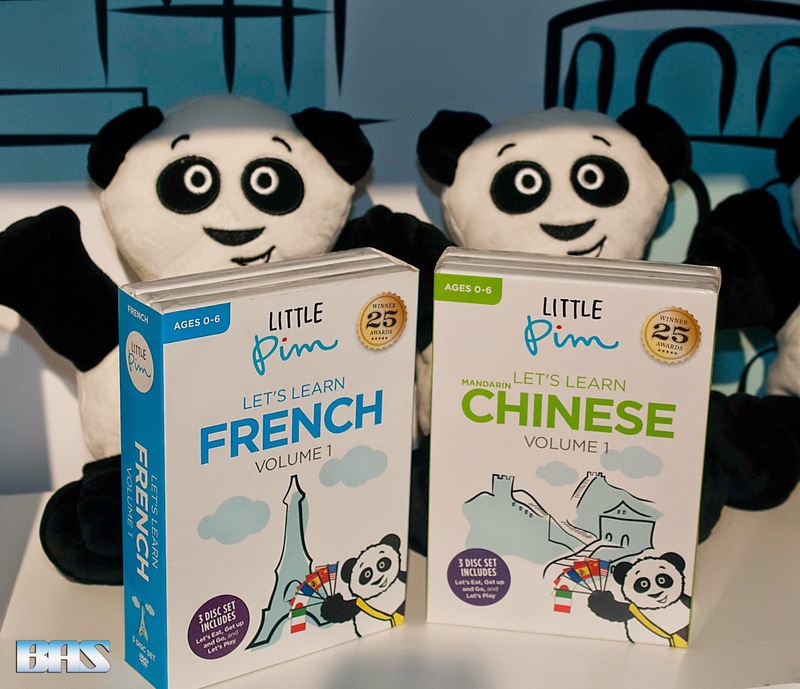 Children can learn up to 360 words and phrases with the video program taught by the star of the series Little Pim the Panda. Each episode is 5 mins long with optional subtitles in 11 different languages. As far as music goes only the Spanish and French learning sets have music available. SuperMe! 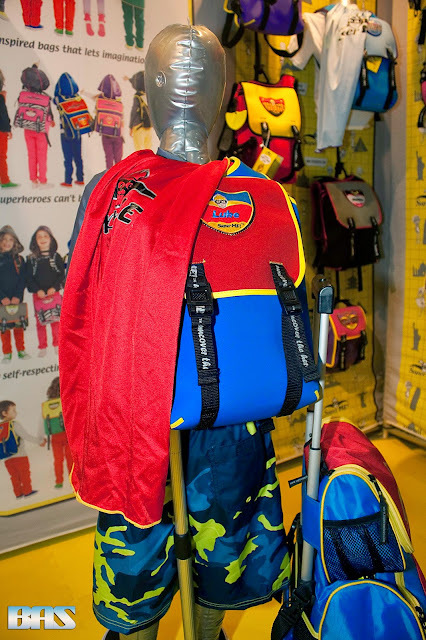 is a line of Superhero backpack capes for kids, developed by designer Daphne Kaufer and inspired by her own children who love to dress up as superheroes. Daphne wanted to create a line of functional superhero inspired products that are fun to play with and reflected the uniqueness of each child in a meaningful way. 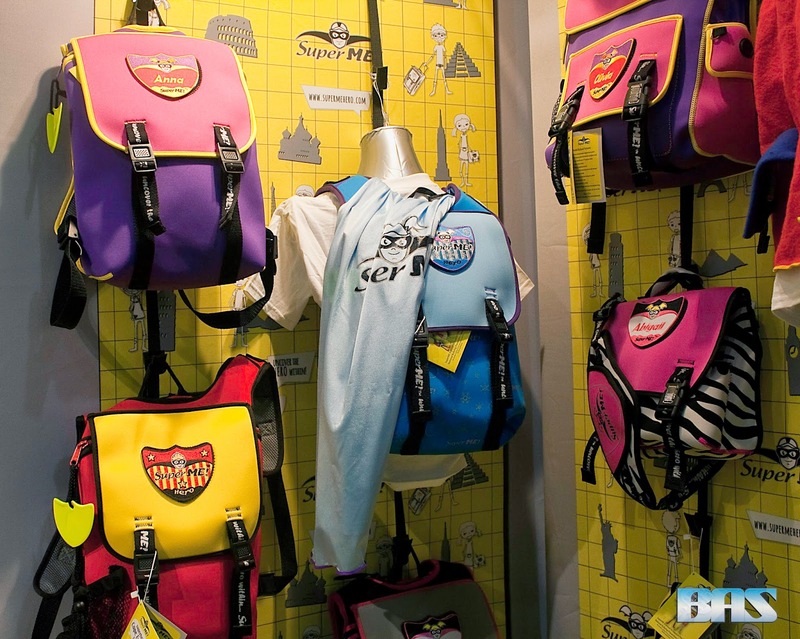 Each bag has a velcro attached patch that can be personalized in a variety of ways to fit the superhero in every child. Backpacks can be bought with either a cape or a hood. SuperME also donates a portion of all its proceeds to support PACER's National Bullying Prevention Center because they believe that 'The End of Bullying Begins with You.